The name of this northwestern county has been a point of contention for decades. 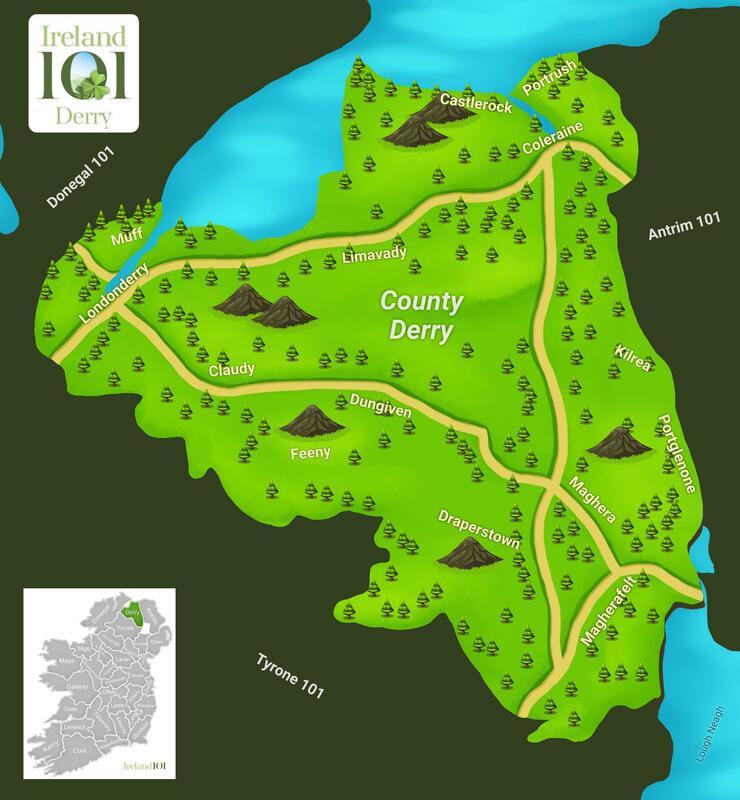 Although drawing its name originally from an Old Irish word, Daire ("oak leaf"), the county and its main town were both christened "Londonderry" in 1613 when King James I authorised the plantation of the area, adding the "London" prefix. 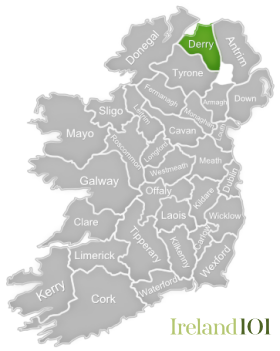 Generally speaking, the name "Londonderry" is used on most official British documents and is preferred by Unionists, while "Derry" is more commonly used by the Irish and Nationalists. 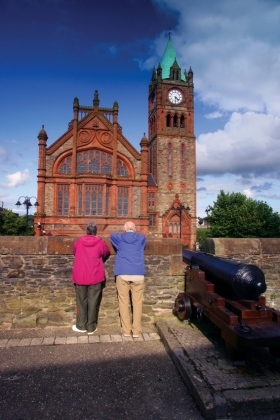 Co. Derry's pride and joy is the city of Derry, which stands as the only surviving completely walled city in Ireland. It is also considered to be one of the finest fully walled cities in Europe, built over the course of six years between 1613-1619. 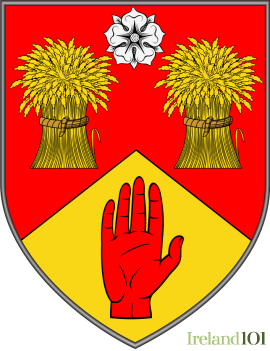 The presence of the walls earned Derry the nickname, "The Maiden City", for their defences were never breached, even during the 1689 Siege of Derry. 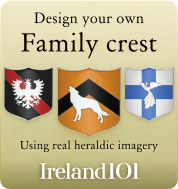 Adjacent to Co. Donegal in the Republic of Ireland, Co. Derry has always been strongly tied – economically and culturally – to its traditional neighbour, and as such has quite a strong sense of Irish identity, including a big Catholic majority. 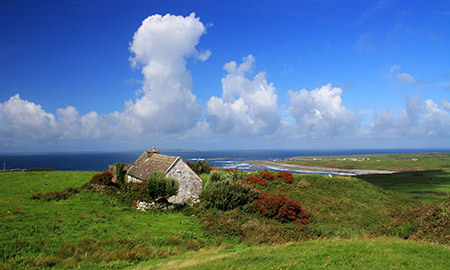 Another of Co. Derry's best features is its long northern coastline, which stretches from the city of Derry in the west to its county seat at Coleraine in the west. Along the way, the coast ebbs and flows from the nearly oceanic Lough Foyle to the dramatic cliffs near Castlerock. 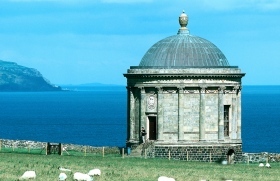 Here, the impressive, circular Mussenden Temple (originally built as a library) enjoys a strangely intimate view of the pink sandy beach and ocean waves far below, while the remains of the Downhill House, part of the original estate, are crumbling nearby. Co. Derry's most prized son is the contemporary Nobel Prize winning poet, Seamus Heaney, who is from the village of Bellaghy and referenced his birth village in the stunning poem, Mossbawn Sunlight. 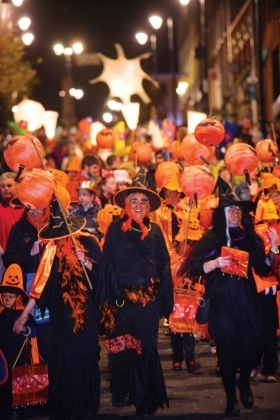 Derry has also produced several international politicians, including Australian Prime Minister Jim Scullin and New Zealand Prime Minister William Ferguson Massey, as well as pop singer and lust object, Nadine Coyle, who hails from Derry City. 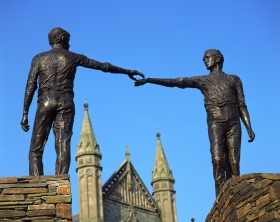 The ‘Hands across the Divide’ statue in Derry City. The circuit of walls, enclosing the old city on the west bank of the river Foyle, is the only surviving complete series of city walls in Ireland. The Guildhall in Derry is a building in which the elected members of Derry City Council meet. It was built in 1890. It was badly damaged by fire in Easter 1908. The whole building was re-built. Mussenden Temple is a small circular building located on cliffs in County Derry. It was built in 1785. 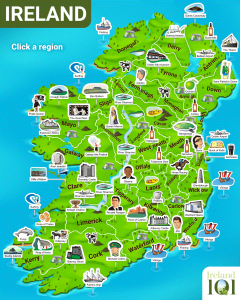 How much do you know about Derry ?